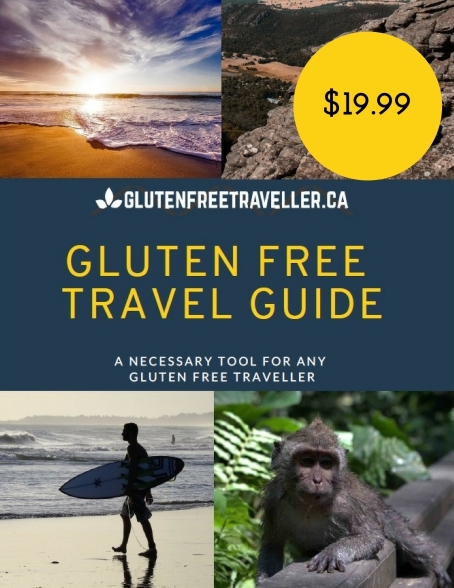 Join others and experience the best of GLUTEN FREE ADVENTURE by getting our Complete Gluten Free Travel Guide. Bundle the book with a coaching call for $60 USD. Celiac travel is no longer a thing of the past. The more you do it and the more knowledge that you have, it becomes automatically stress-free. 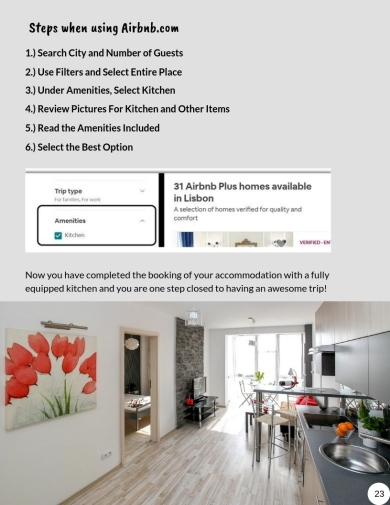 I will give you the steps and a way to plan your vacation so you can explore yourself. A well thought out trip will make for the best stress-free vacation. 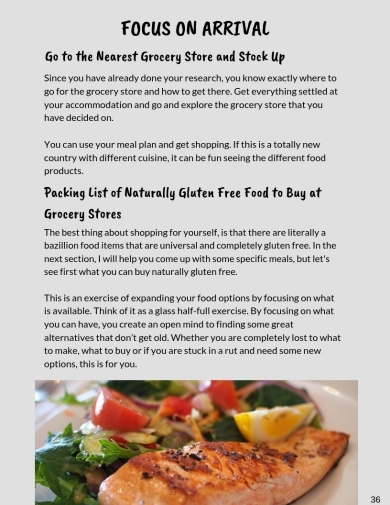 Researching all of your gluten free needs prior to going makes all the difference. This section gives you easy to follow steps to prioritize the area you want to be in, so you find the best place that meets all of your needs. 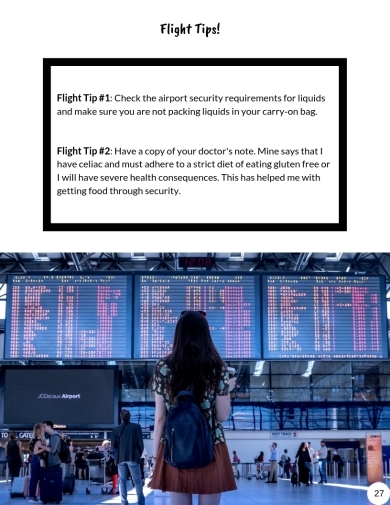 Many tips are included for what to pack for lay-overs, how to confirm a gluten free meal and all major airline links right to their dietary offerings. You can explore the local food markets and cuisine in any country to find some delicious meals. Embracing new things will make new memories. allow me to visit almost any country or place in the world. It becomes a better-quality vacation and it develops into a lifestyle that will help you experience places in a whole different way. That is why I created the Gluten Free Travel Guide. So other people can learn how to make their travel plans a reality. 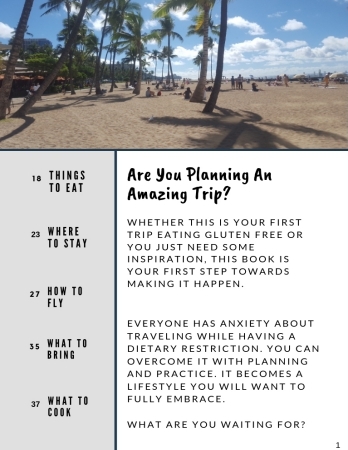 Here are some testimonials from people who received the first edition of the Gluten Free Travel Guide. These ladies were able to make big changes in their lives. What are you waiting for and how do you think travel will impact your life? 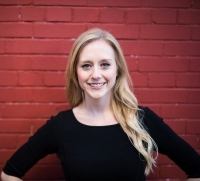 “I was overwhelmed after my diagnosis. I barely wanted to leave my house to eat out. The book really helped me on how to successfully eat out at restaurants. The steps were clearly laid out and really easy for me to implement. Some of it was me just getting out of the way and making time for myself to follow through on all of the steps. I loved the tips through out the book, and I used them all. I had all the research done and with my planning done, I was able to really relax. I didn’t focus so much on what I was going to eat, because I it all figured out." Currently, this ebook is available in PDF, so you can easily store it on your phone, computer or iPad. One of the best things about this book is you can access it from anywhere in the world! Yes, of course! Email me at any time to get more information. I would be more than happy to answer your questions. You can reach me at brett@glutenfreetraveller.ca. 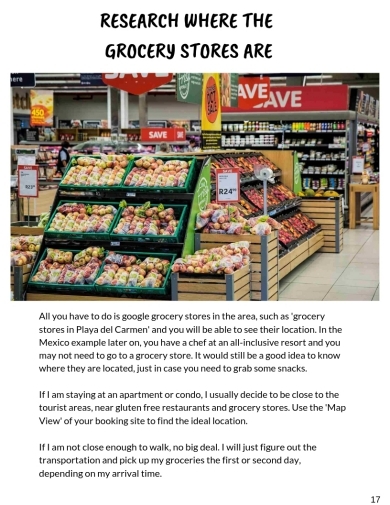 Please make the Subject: Gluten Free Travel Guide Ebook Question so I can respond right away. Why should we trust you? What makes you an expert on Celiac Travel? Aside from the fact that I’ve been to almost 20 countries while successfully eating gluten free, I have also lived in other countries for months at a time. I’ve travelled with finding safe places to eat and on learning how to do it in mind. How do we schedule the Gluten Free Coaching Call? You will receive a voucher with your payment. Whenever you want to schedule it, just email me your availability. I will confirm the date and time and we meet on skype!